Hiroko Sakakibara was only a young girl when the North Korean agents came to her father’s house trying to sell him on a dream of earthly paradise in the family’s ancestral land. A socialist utopia awaits, they were told in the early 1960s. Your every need — work, home, clothes, health care — will be guaranteed by the state. In all, more than 93,000 people — mostly ethnic Koreans whose Japanese citizenship was stripped after World War II — left Japan between 1959 and 1984, lured by the promise of a new life in the Democratic People’s Republic of Korea during the heart of the Cold War. The ethnic Koreans, known in Japan as Zainichi, were joined by a few thousand Japanese spouses and children. Instead, they say they encountered discrimination, desperate poverty and a complete denial of basic freedoms. Now, four women and one man who spent decades in North Korea before finally escaping to Japan are pursuing legal action against the North Korea government in a Japanese court, seeking damages for the lies they were told and mistreatment they suffered. They are also demanding that their relatives be given the right to return to Japan. The fate of the Zainichi is not a priority for the Japanese government. It is fixated on the “abductees,” a much smaller number of Japanese citizens who were kidnapped by North Korean agents in the 1970s and 1980s. Their stories have become something of a national obsession and a major obstacle to any rapprochement between Tokyo and Pyongyang. But the Zainichi are a powerful reminder of other humanitarian catastrophes that have unfolded in North Korea in the past six decades, and how the regime of Kim Jong Un faces reckonings and recriminations on many fronts as it seeks dialogue with the West and its allies. The lawsuit by the Zainichi also cuts another way: highlighting the cultural politics in Japan and elsewhere in East Asia that can relegate ethnic minorities to underclass status. Sakakibara’s parents, both ethnic Koreans, found life a challenge in Japan, she said. Her father struggled to find regular work, and her mother had suffered a stroke. 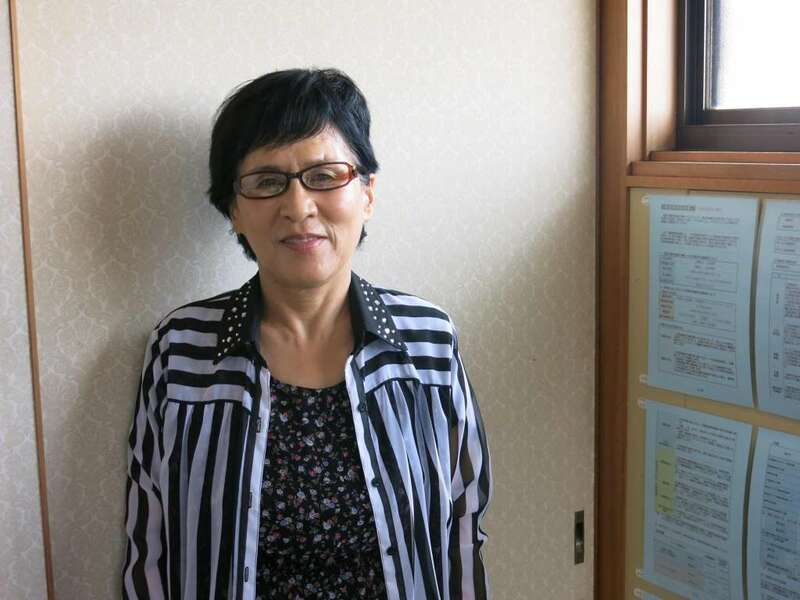 Hiroko Sakakibara — now 68 — remembers being shamed at school because she did not have lunch money. In May 1961, the family boarded a Soviet passenger vessel bound for the North Korean port of Chongjin. Sakakibara vividly remembers the propaganda photos the family were shown before leaving Japan: beautiful girls plucking rosy apples off a tree, idyllic country scenes and modern cityscapes. But once on board the ship, watched over by Soviet soldiers, the doubts began to set in. “The food was terrible, and the apples, they were so shriveled,” she said. Then, as the ship pulled into the port, they realized they had made a terrible mistake. What greeted them was a gray, impoverished and drab city, and a dock full of malnourished and shabbily dressed people, all the adults in the same dreary, dark gray clothes, some of the children without shoes or even trousers. Around her, the adults had the same thoughts. They had been told they could live where they wanted, do whatever jobs they chose. It was a lie. Many ended up in prison camps or coal mines, the families in the lawsuit claims. Some died of malnutrition and disease, while others survived by selling what they had brought from Japan and through money sent to them by relatives who had stayed behind. Sakikibara’s father was a construction worker in Japan, but he was sent to work in the countryside and struggled to learn manual farming. Unable to meet his quotas, he soon suffered a mental breakdown and was locked in a hospital for the mentally ill, where he died in 1964, his daughter said. At school, she was continuously bullied because she had grown up in Japan. The proselytizing campaign was carried out by the General Association of Korean Residents in Japan, or Chongryon, a pro-North Korea organization. The Japanese Red Cross and the International Committee of the Red Cross helped with arrangements. Once in North Korea, many immigrants tried to warn relatives not to join them: Letters home were heavily censored, but some wrote messages on the back of stamps or used prearranged codes such as writing in ink if the letter was telling the truth, in pencil if it was a lie. Historical archives show Japan knew what was happening. It told Britain in the early 1960s that conditions for the immigrants were very hard, but still backed the campaign to send more back, said Morris-Suzuki. “The Japanese government should face its role in facilitating this historical wrong, recognize that the victims are still suffering, and set the situation right by supporting these victims’ demands,” said Kanae Doi, Japan director at Human Rights Watch. Sakakibara is grateful to Japan for allowing her back. All she really wants now is an apology from the people who lured her and her family away. World - U.S. Daily News: They were promised a ‘paradise’ in North Korea. They are now suing over the lies.